TOKYO: The paperwork never ends for Yoshiko Nishimasa. There are the meticulous logs she must fill out every day, not to mention the pages of work she carefully checks and approves with a personalised stamp. She even keeps daily records of conversations, activities and meals. But none of this book-keeping is for her job as a marketing professional. It’s all for her children’s preschool — before she can even head to the office. Like so many working mothers in Japan, Nishimasa, 38, is swamped by onerous, bureaucratic tasks that have nothing to do with her profession but constrain her participation in the workforce at a time when the country says it desperately needs more from women like her. It is a legacy of the country’s exacting domestic expectations and rigid gender roles for who performs them. While Japanese women have entered the workforce at historic levels, their avalanche of domestic responsibilities is not shrinking — and men are typically not helping. But Japan’s economy needs educated women like Nishimasa to work to their full potential. After World War II, as the nation entered a period of rapid economic growth, Japanese women typically quit work when they married or gave birth, taking care of the home while their husbands worked punishingly long hours to power Japan Inc.’s industrial expansion. In the late 1970s, married women slowly started to enter the workforce. 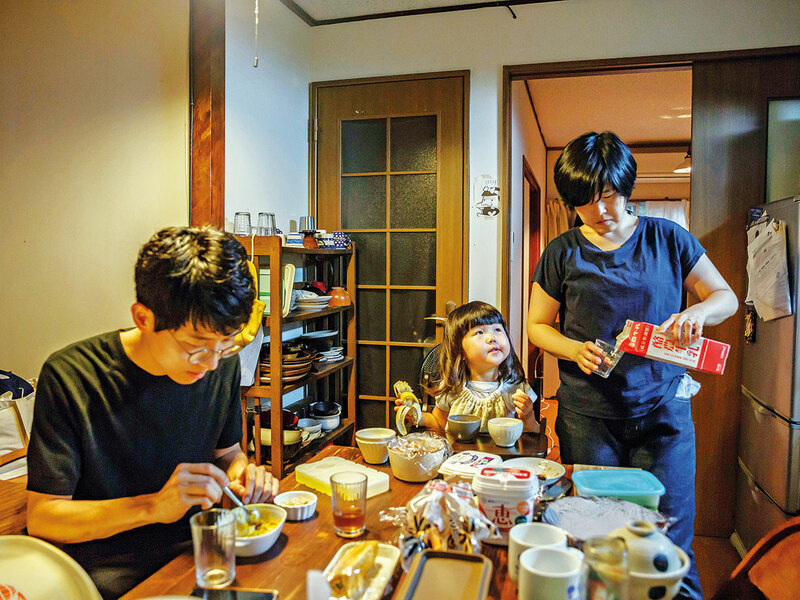 Then, when Japan’s stock and property bubbles popped in the early 1990s, large numbers of them went back to work to keep their families afloat financially. After that, Japan, once the economic powerhouse of Asia, struggled to lift itself from a protracted period of stagnation. It was overtaken by China as the world’s second-largest economy in 2011, and Abe has staked much of his reputation on returning the economy to steady growth and keeping it from becoming a global afterthought. Now, with a declining and rapidly ageing population, Japanese employers are struggling with a severe labour shortage. And while the government has expanded some visa categories for foreigners, the country is still opposed to increasing immigration significantly. So Abe has underscored the importance of working women to shore up the economy for the long term. Like many Japanese companies, Nishimasa’s employer accommodates her towering domestic responsibilities. Until her youngest child, 2, enters second grade, she can work a shortened seven-hour day, albeit for 30 per cent lower pay. She is never asked to do the kind of overtime she regularly put in before her children were born, when she was often at the office until 10pm or later. After Nishimasa graduated from a top university in Tokyo, she worked for a textbook publisher as a sales associate. With a sunny disposition and her ease at striking up conversations, she quickly excelled. She married four years later. Much to her shock, the company automatically converted her employment status to part time, she said. After giving birth, Nishimasa never thought of quitting. But because her husband is expected to meet rigorous targets for raises and promotions, Nishimasa cut back on work to take care of the children. The juggle took a toll. One rainy morning, Nishimasa wrestled with the children while rushing down the stairs with two big bags of clothes, towels, washcloths and water bottles required by their day care. In her hurry, she slipped and fell, breaking a leg. After the accident, Kazuhiro Nishimasa came home early in the evenings for two months and agreed to drop off the children at day care on his way to work, one of the few tasks he still handles for the family. Now, Kazuhiro Nishimasa is back to working long hours to keep up with their mortgage payments. He rarely makes it home before 10pm, and is often out much later. On Saturdays, he sleeps in while his wife shuttles the three children to piano lessons or sports activities before he wakes up. Since Nishimasa broke her leg, her husband has never left work in the middle of the day. If a child gets sick or hurt, or if school ends early, she gets the call every time. Nishimasa tries getting to work early once a week. She helps get the children dressed, makes breakfast and then heads to the office to snag some quiet time before most of her colleagues arrive. Yoshida drops off and picks up the children every day, and cooks, cleans, bathes and puts them to bed each night. When the preschool asked parents to make a handmade doll for each child, Yoshida stayed up nights sewing them. As Kazuko Yoshida left the office to pick up her children, she sat on the platform at the train station and let two trains go by before climbing into a packed car to head to the day care centre. It was her only break all day.